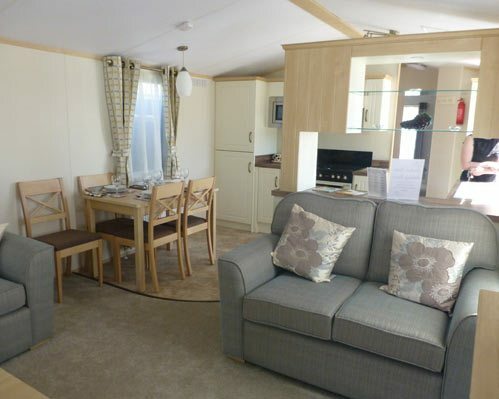 Our beautiful Static Holiday Homes are situated within the tranquil settings of our Holiday Park. 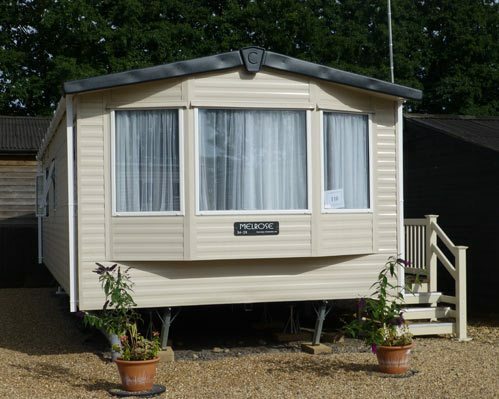 We offer a range of Static caravans for short or long term holidays here at Stonham Barns. You can choose from either a 2 bedroom static which sleeps 4 people or a 3 bedroom static which sleeps, six people. All our homes come with a parking space suitable for two vehicles, extra parking is available in our carpark. They are all fitted with double glazing throughout and benefit from gas central heating to make sure you are always kept warm and cosy at night but have French patio doors too open wide in the Summertime to enjoy the breeze. The homes consist of a large open plan lounge, dining area and kitchen, with either two or three beautifully designed bedrooms. Consisting of a luxurious double bedroom connected to the main shower room, a twin room and a further separate cloakroom. The modern, deluxe kitchen includes an integrated fridge/freezer (in the gold unit only), stainless steel cooker, hob and is fully stocked with all the utensils and crockery you will need. The dining area branches off the kitchen and is complete with a free standing dining table with chairs. Our holiday homes benefit from a plush, self-contained lounge with flame effect fire with stone surround and a comfy three piece suite, there are plenty of fixed wall units, cupboards and shelving giving you plenty of storage. The bedrooms host fully fitted wardrobes and units, maximising the space and allowing you to no limitations on the amount of holiday clothing you bring. The shower room is fitted with an inbuilt separate shower, basin and WC with chrome fittings. On the entrance to our caravan & camping park, we operate a barrier system for extra security. You will be required to put a £5.00 cash deposit to obtain a card for you to use during your stay. The deposit will be returned at the end of your holiday when the card has been returned. We have lots of things for you to see and do whilst you are staying with us. Some of the things on offer is a 9 hole golf course and footgolf course, driving range and mini golf, two stunning fishing lakes with a large stock of Carp, Tench and Bream. Suffolk Owl Sanctuary which has an impressive display of owls & other birds of prey and a shopping village offering a range of boutique shops plus much more. We also have weekly events on our showground so make sure you visit our events page to see what fantastic events will be taking place while you on holiday with us here at Stonham Barns Leisure & Retail Park.